THE UK’s shops are already a complete f**king nightmare and retailers have confirmed they will remain that way until Christmas. The announcement covers all shops, from supermarkets to department stores, and is in place from today until at least January 4th, inclusive of evenings and weekends. A spokesman for the British Retail Consortium said: “The switch has been tripped. The signal has been given. Welcome to hell. 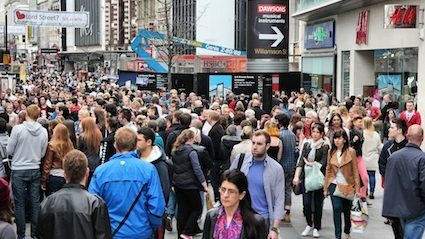 “From now on every shopping mall will have queues at the escalators, every out-of-town retail park will be gridlocked, every city centre immobilised by Christmas markets. “In the supermarket you’ll battle past middle-class families with three-trolley convoys and colour-coded lists shouting ‘Butter! Check!’ at each other just to buy a small, squashed loaf. 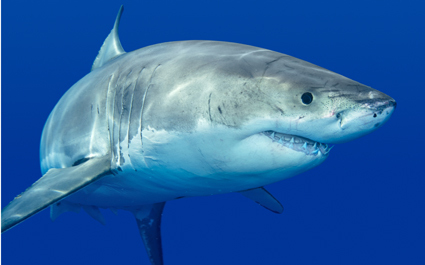 THE best way to fend off a shark attack is from within the shark, it has been claimed. Following a British doctor’s claims to have punched one of the huge carnivorous fish, experts confirmed that the best anti-shark strategy is actually to enter its digestive system before fighting back. Professor Henry Brubaker of the Institute for Studies said: “We’ve all heard that rubbish about how you’re supposed to punch a shark on the nose. What’s that going to do? This is the savage world of the seas, not pound-a-pint night in a Yeovil nightclub. “The sensible thing to do if a shark attacks you is to dive head-first into its open maw, taking care not to get snagged on any teeth as you go in. “Now light a match. You’ll find yourself in the shark’s belly. It may smell a bit.